The spring home staging season is in full swing and my phone is ringing daily with new staging, color consultation and redesign projects. A recent home staging client’s agent wanted her to put in all new furniture but I knew the cottage-vibe would appeal to local buyers. She took my advice and we used what she already had in new ways. The house sold in less than a week with 4 offers at $70,000 over asking. As a special thanks the owner-artist gave me a lovely encaustic painting for my home! Last week I did a redesign consultation for a client whose home I staged last year. It was great to see her new home and find ways for her to enjoy it more as her toddlers grow. A recent town house color consultation reminded me how much I love working with color. Since the client has no plans to move, we went bolder than I normally do. The new 6-color palette allows each room to flow easily to the next. 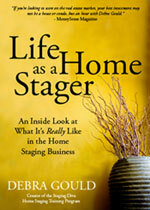 The home staging job in Los Angeles County is still available for Staging Diva Graduates. If you’re not getting job notifications, subscribe to Home Staging Business Report by filling in the big box on the home page. I recently wrote about the un-motivating gap we can fall into when we fail to recognize our own success, and the importance of finding “wins.” If you missed it in my blog, check it out and see the comments from fellow stagers. In this month’s articles I share 3 home staging portfolio tips using an example of a bedroom transformation by Staging Diva Grad Daryl Rosenbaum. You’ll discover two events you can attend with me in the weeks ahead, get access to a home staging consultation video by Barbara Corcoran, and more. Please email me about any topics you’d like me to cover in Staging Diva Dispatch or the Home Staging Business Report in the coming months. 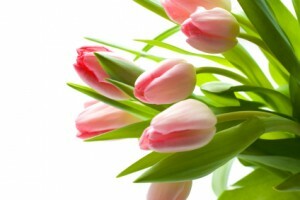 Click here to read this month’s home staging articles.